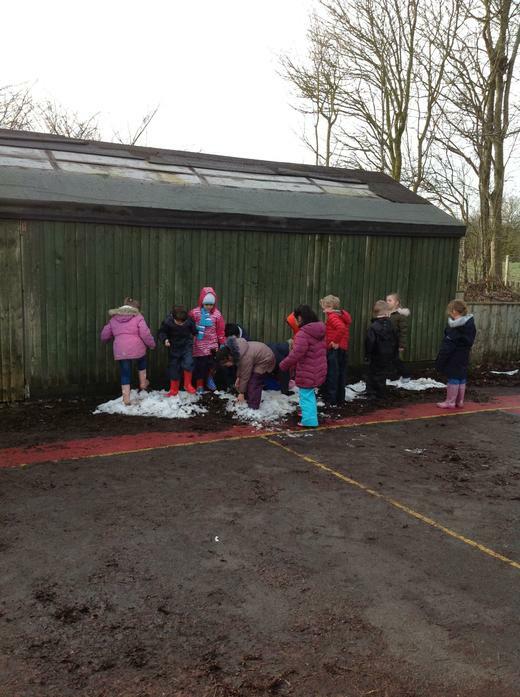 We were a bit sad that it hadn't snowed even though it was very frosty. 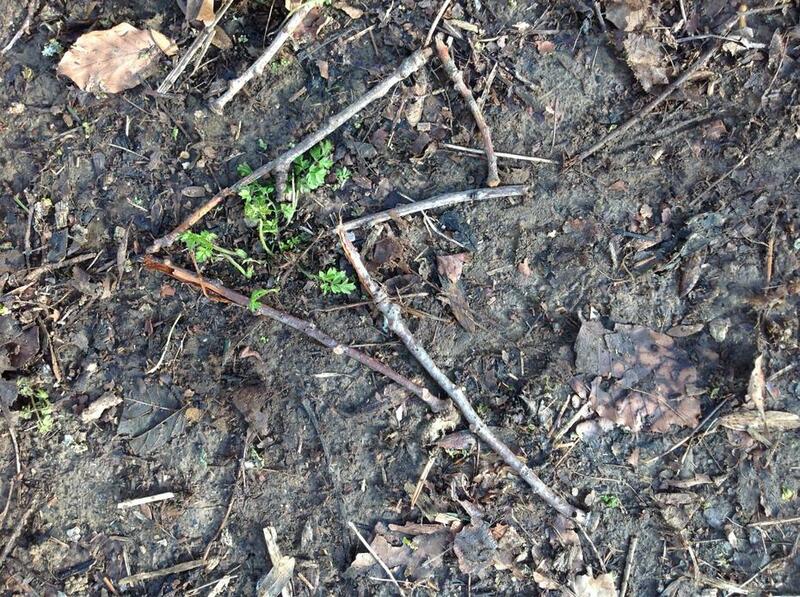 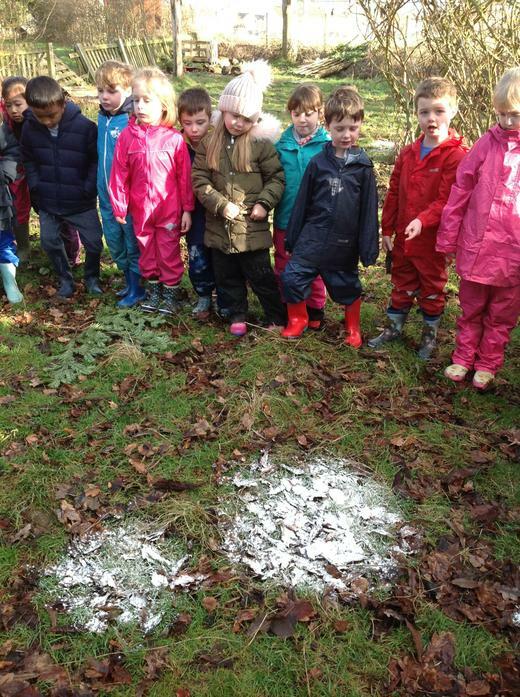 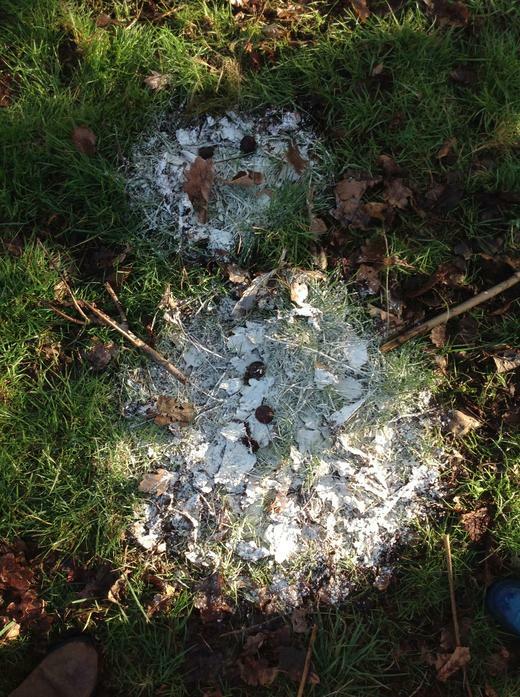 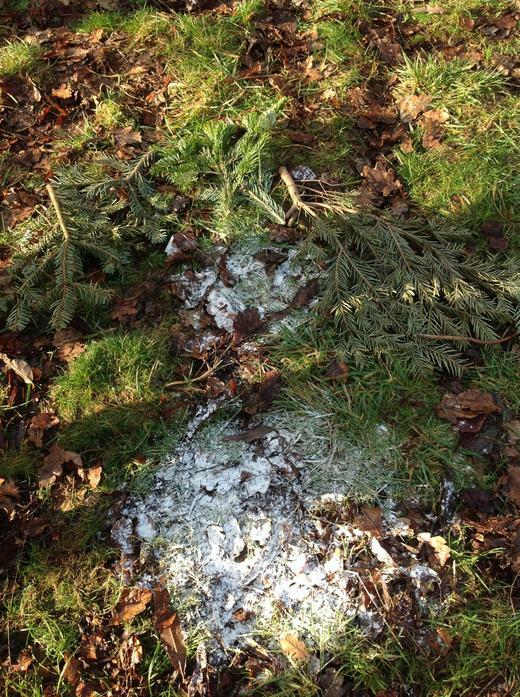 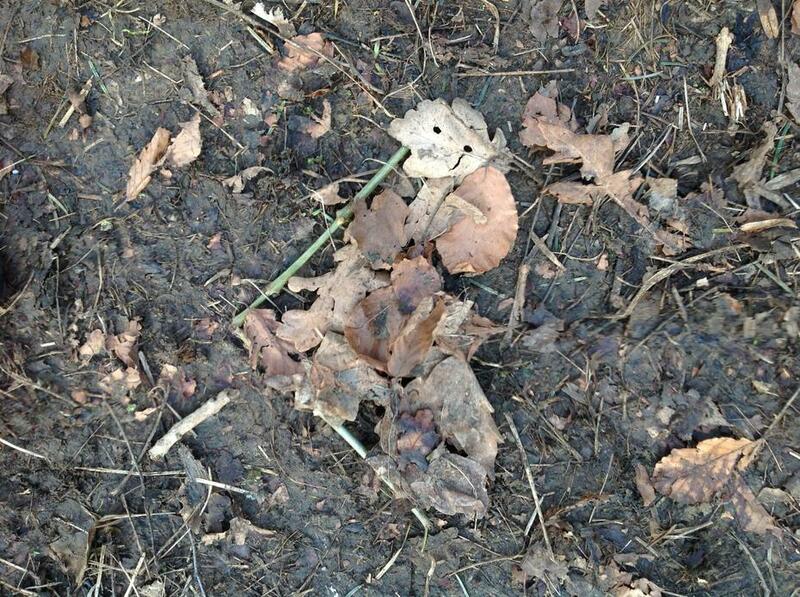 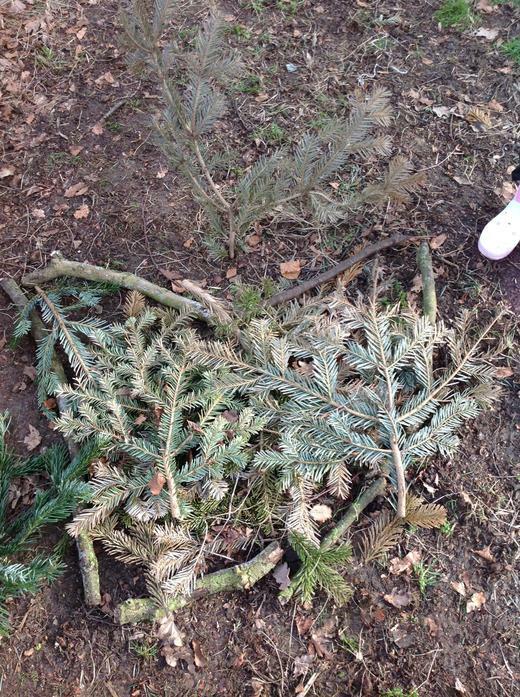 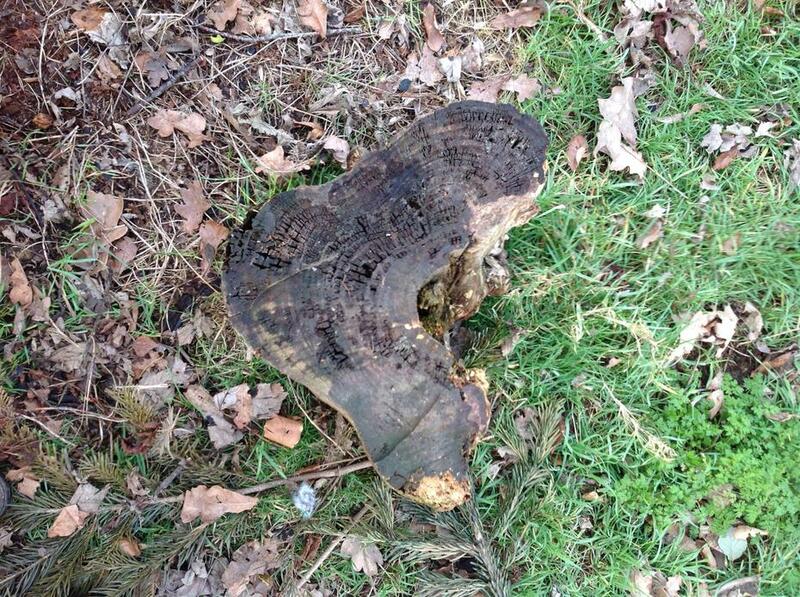 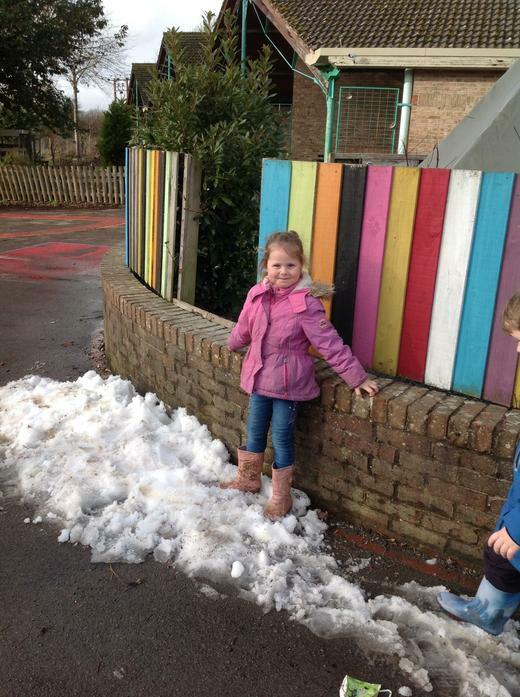 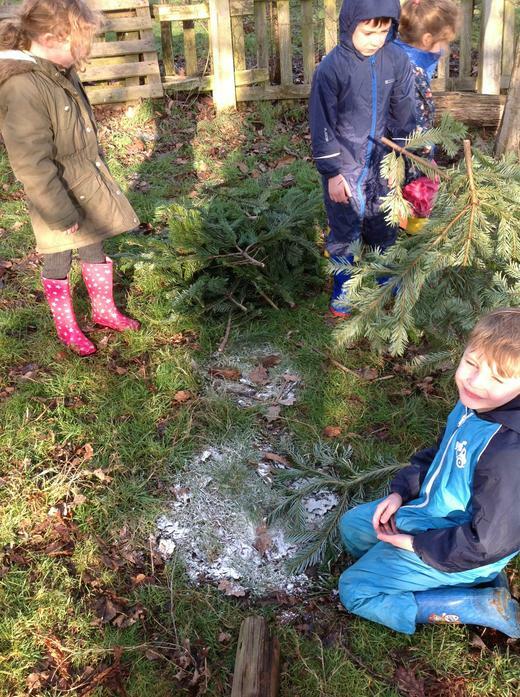 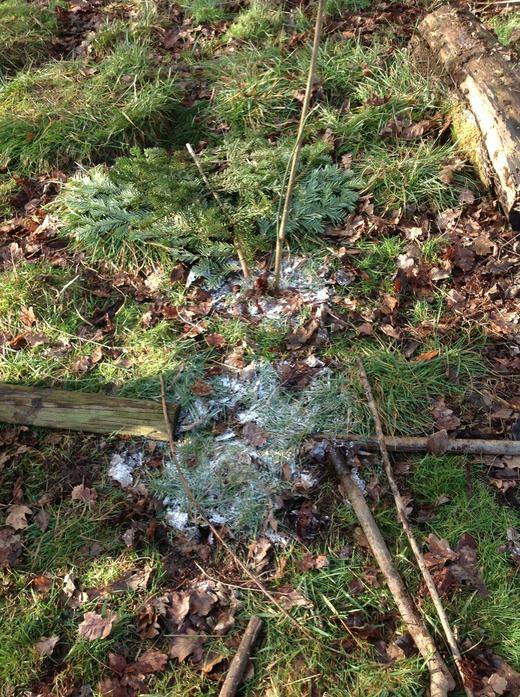 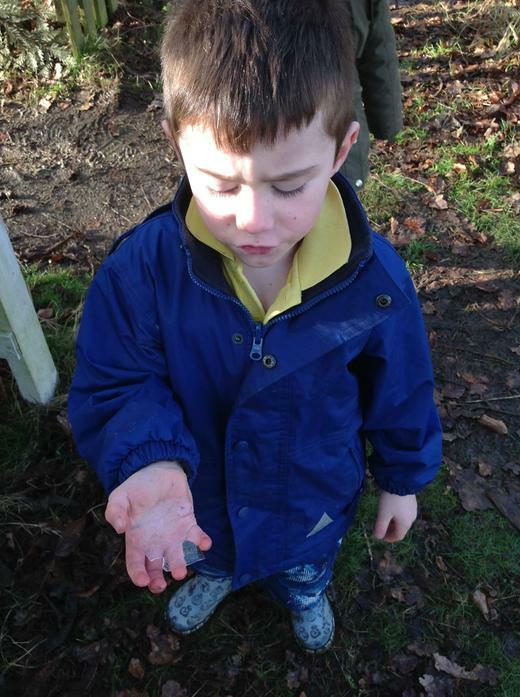 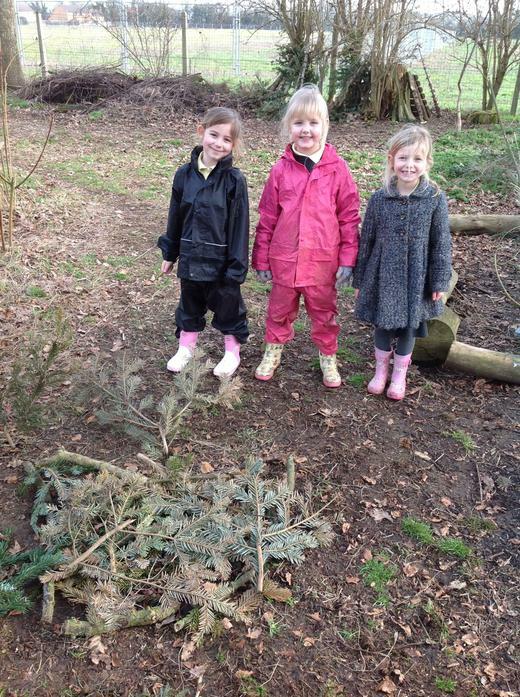 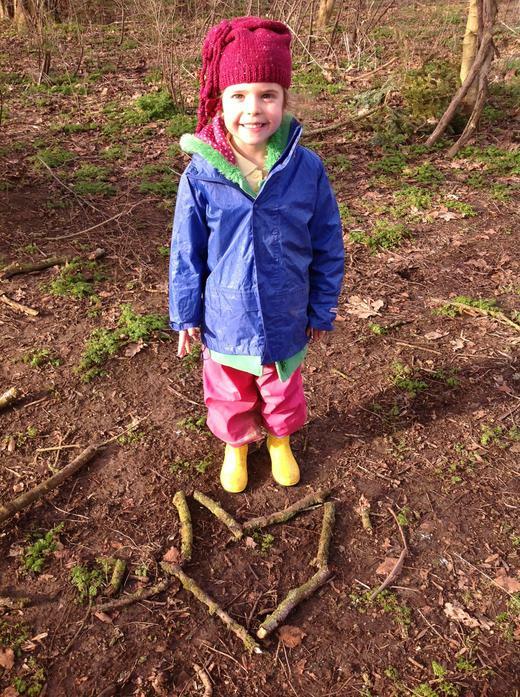 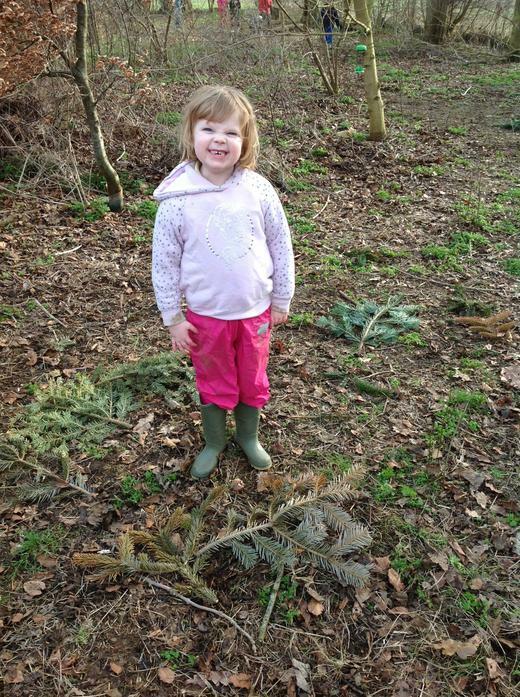 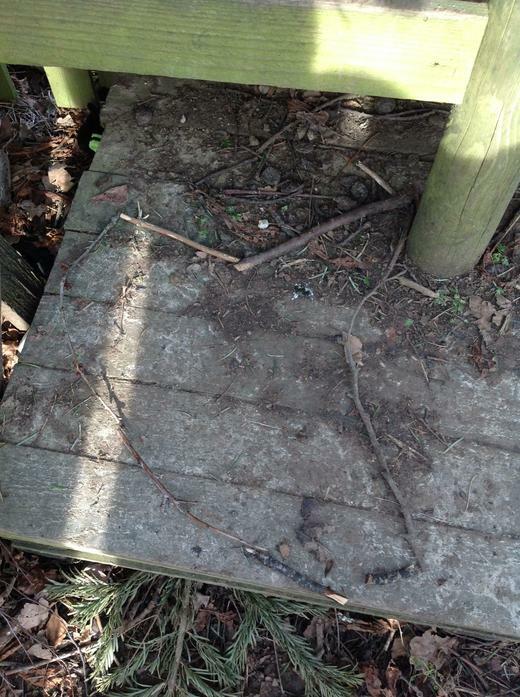 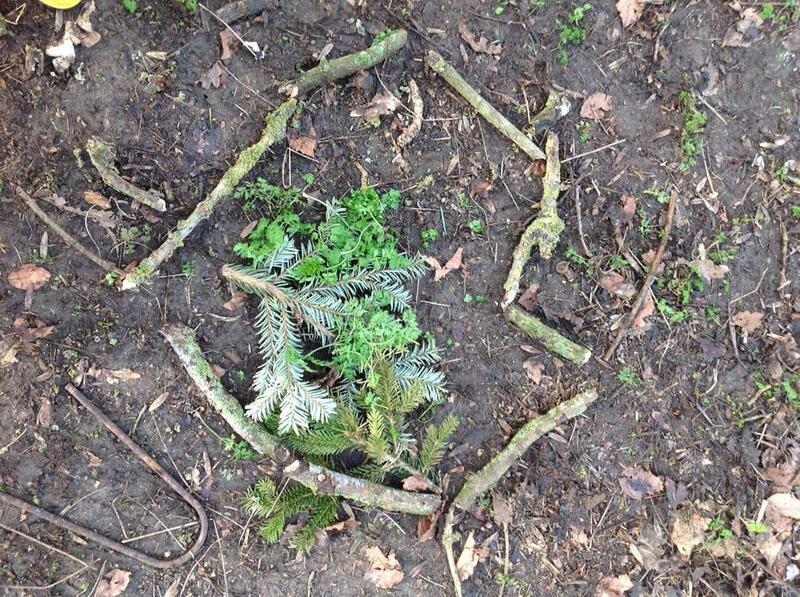 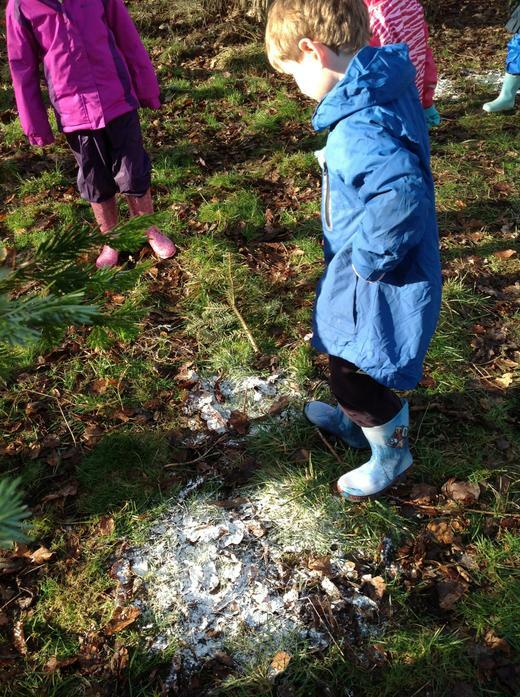 But when we went up to forest school we were delighted to find snow shapes that had been left on the ground. 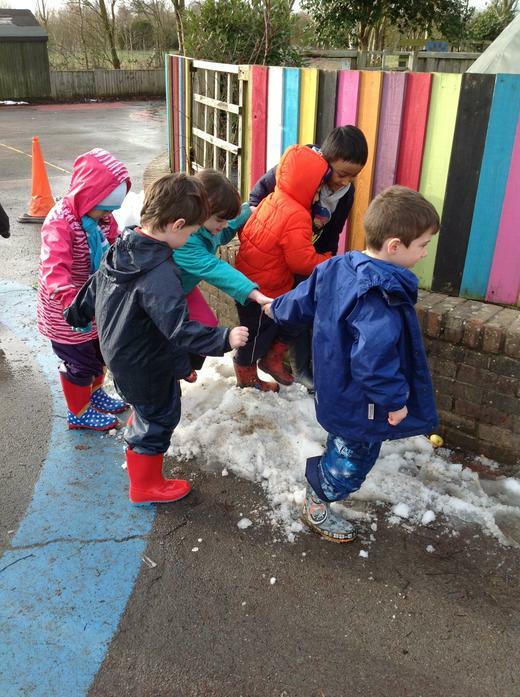 We decided they looked like snowmen so we found natural materials to make eyes, buttons, arms a nose and even a scarf. 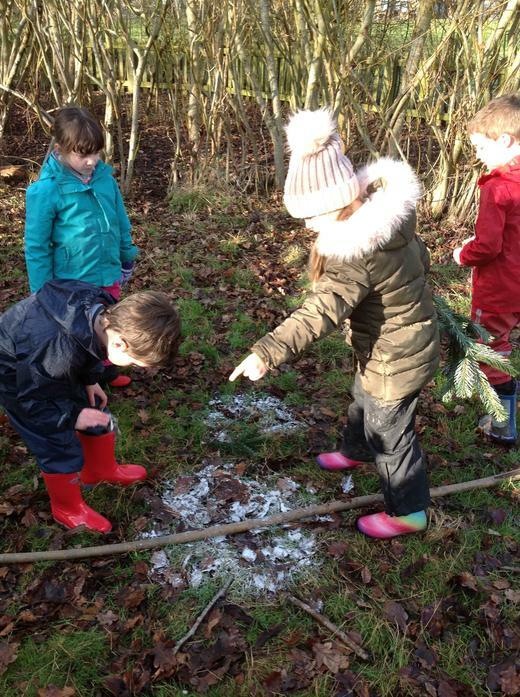 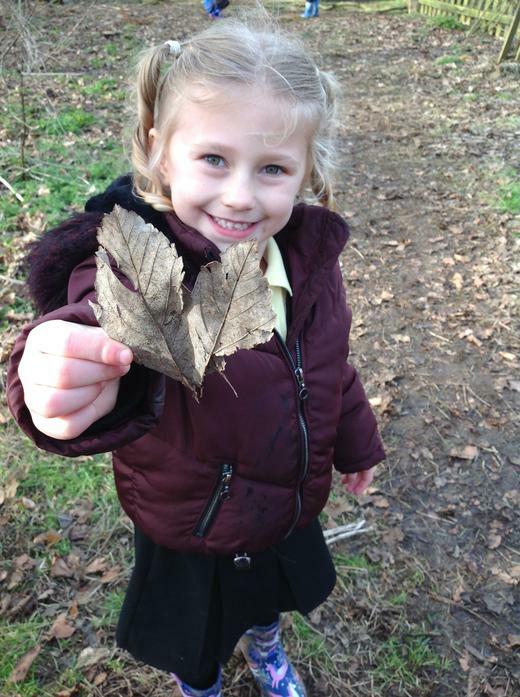 We also explored the frosty leaves and ice puddles we found. 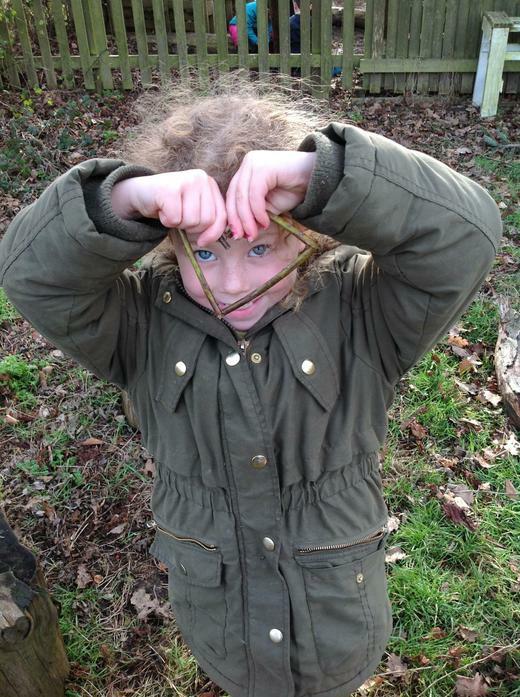 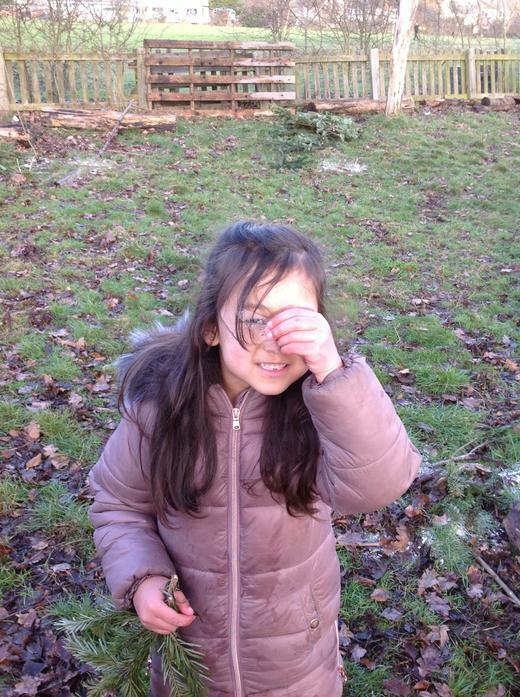 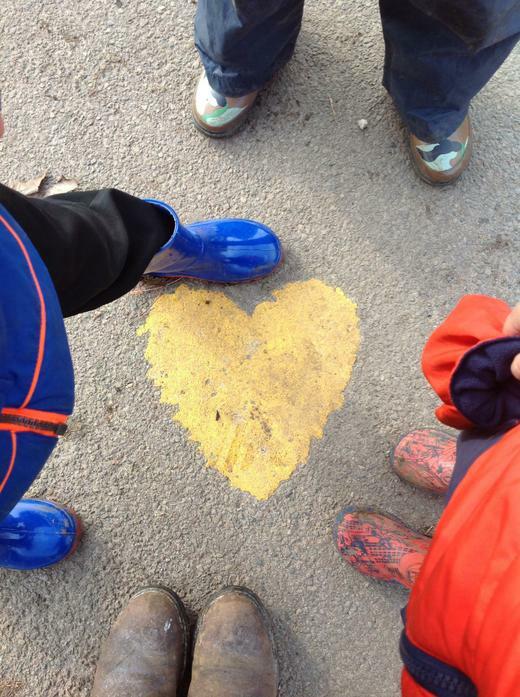 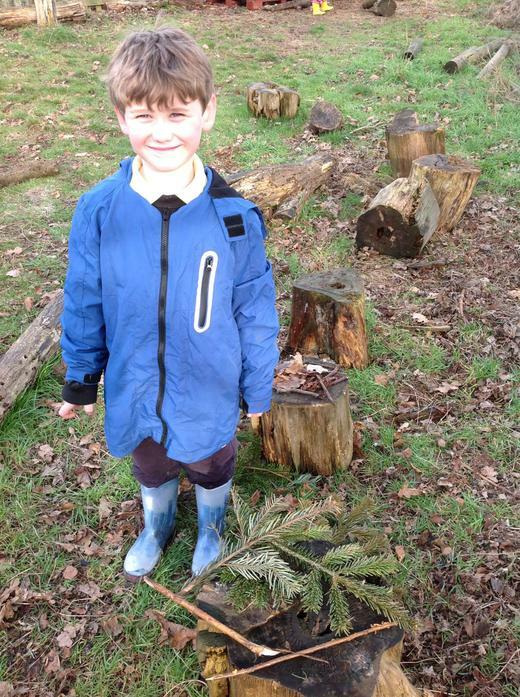 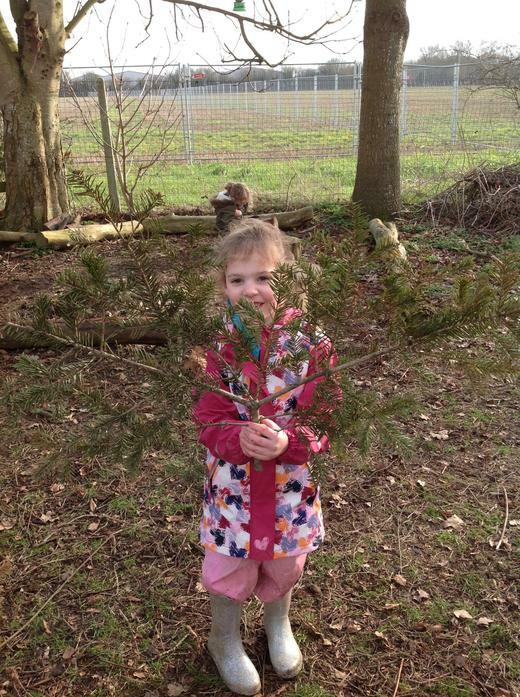 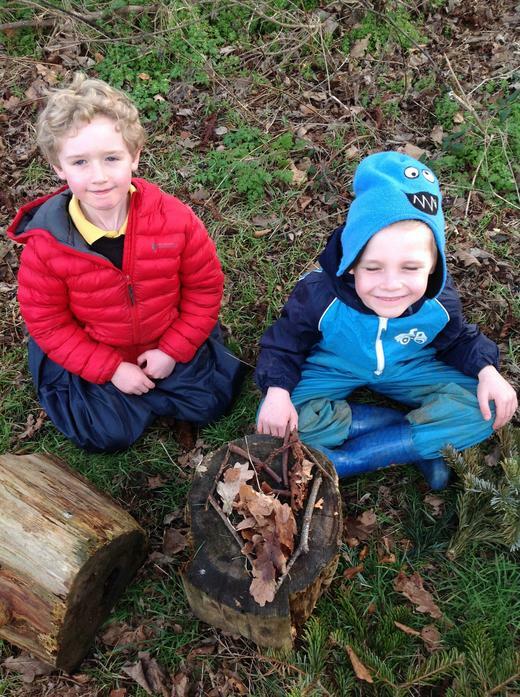 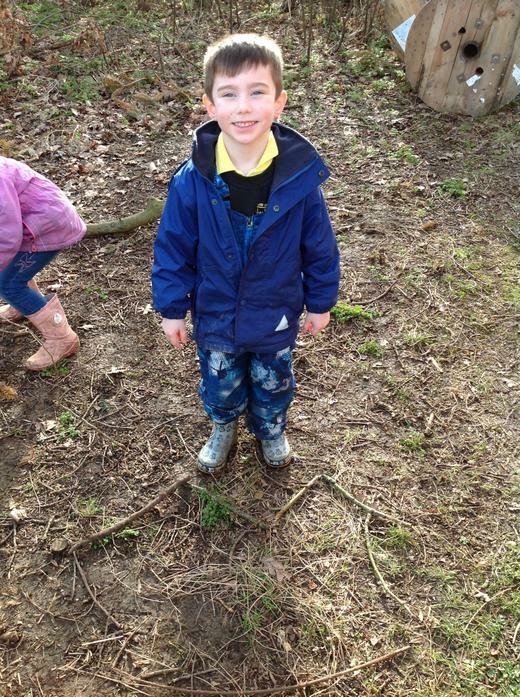 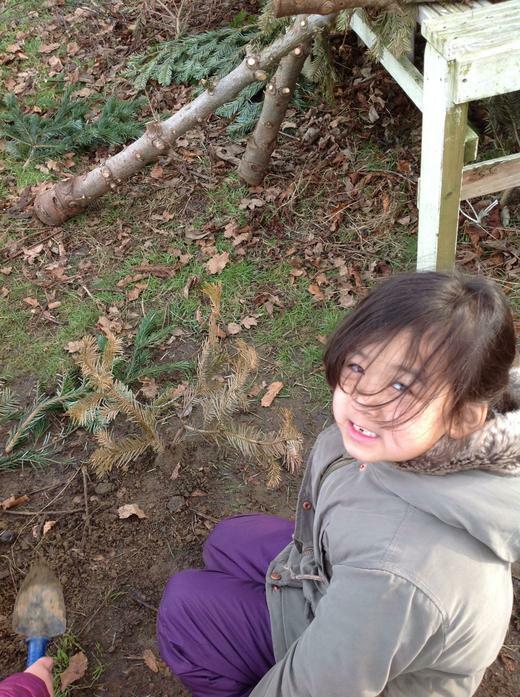 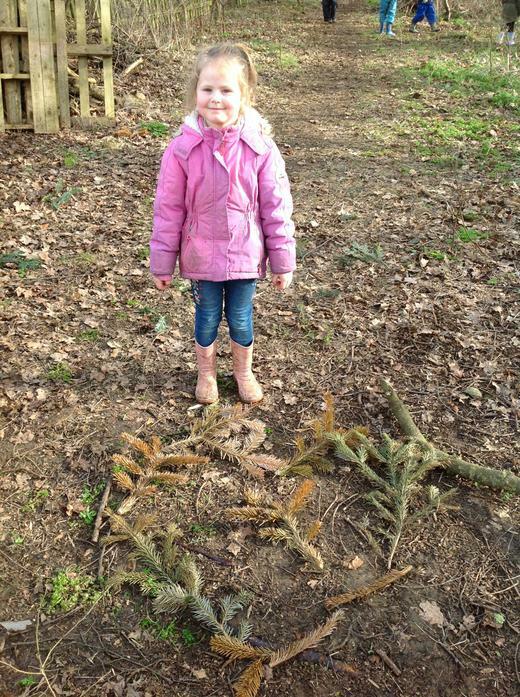 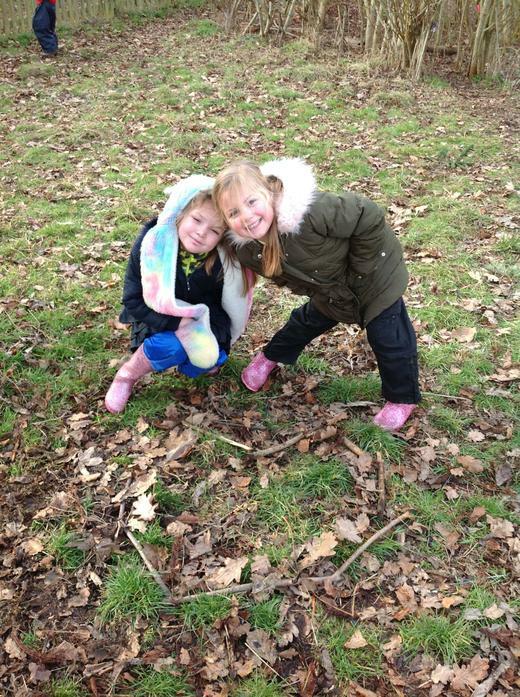 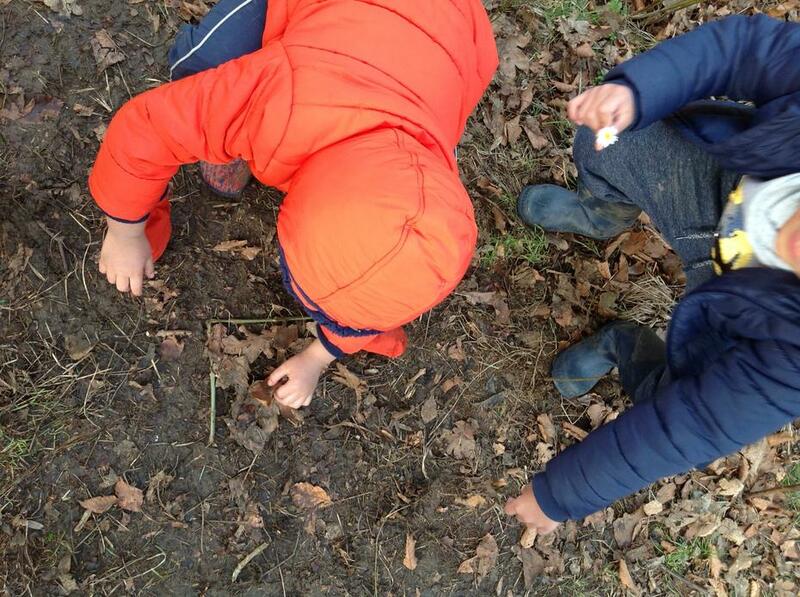 We decided to celebrate Valentine's Day at Forest School today by looking for heart shaped object in the environment as well as creating our own natural hearts.